Pannists with Pembroke-based Metro Stars play at the finals of the Single Band competition of Panorama 2018 at the Arima Basketball court in Trinidad. Panorama in Tobago begins on January 24, with the preliminary rounds in the Single Pan category, and as of now, all is for set for this competition, and for Panorama 2019. That is the word from Marie Toby, co-ordinator for the competition in Tobago, even as she admits that the matter of non-payment of stipends for pannists this year, could have an impact on the season. “All bands are practising. They started their preparation well before Christmas. “There would be judging in the various pan yards and we begin with the single pan bands and then we move on to the other categories which is the Small, Medium and Large,” she said. On the matter of no stipends being paid to pannists this year as announced by PanTrinbago’s President Beverly Ramsey-Moore, Toby felt this would have an impact on this year’s competitions. “It all comes down to the management of the various bands… how they address the situation. I come from the era where they weren’t paying players, so … it all comes down to the management of the various bands and how they deal with this situation. It’s tough, it’s going to be hard, but we all have to see how best we can keep the event going. “Most of the bands began practising long before Christmas …The thing is that you would basically have a low turnout during the Christmas time and then it would pick up from January, so we are watching the situation at this time, but the decision to not pay remittances would have an impact on the various bands and this is not only in Tobago but in Trinidad as well,” she said. 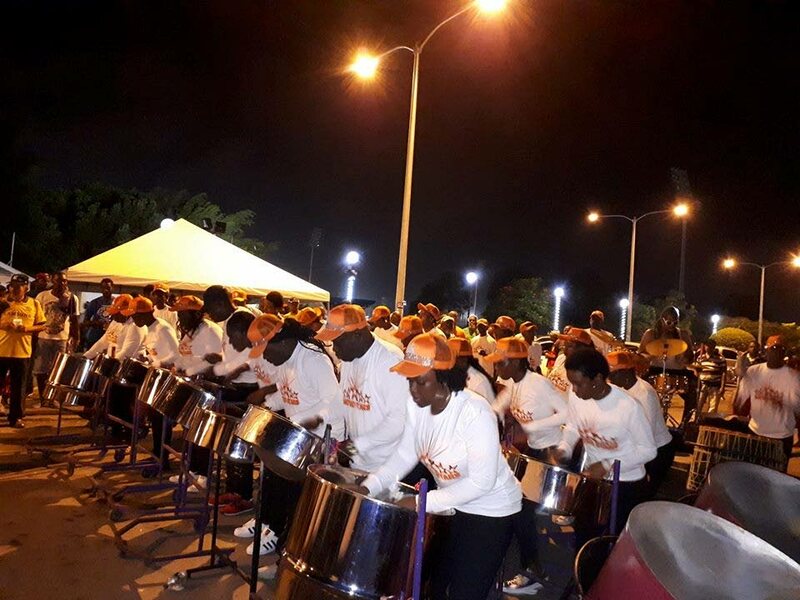 Last Friday, managers of Tobago steelbands told Newsday Tobago that they were on the hunt for pannists for the upcoming Panorama season, as they reported that longstanding players have decided to stay out of the competition following news that no stipends would be paid this year. In an interview with Newsday Tobago on December 27, Ramsey-Moore told Newsday Tobago that steel bands would be asked to help in raising funds to assist with their players’ expenses. “I cannot, at this time, make any promise on players’ remittances for 2019 and 2020.We know that the players are a bit disappointed, but we definitely cannot afford it because we’ve seen where we’ve moved from budgets of $30 million to $20 million. “So, we are asking bands to do whatever is necessary to raise revenues to assist in meeting the expenses for their players,” she said. Salisha James, Chairman of Pan Trinbago’s Tobago Region, is optimistic that the pannists would come out to play and competitions would come off, even as she felt a lot of bands would have difficulty in find people to play for free. “As a player myself, I understand the plight of the pan man. Players are the ones feeling the brunt of mismanagement of resources of the past PanTrinbago executive. “The reality is without players there is no panorama, bands will have instruments with no players. Players are feeling disrespected and this needs to be rectified. Even though we understand the reasoning for non-payment, it is the small, single and unsponsored bands that will suffer greatly from a decision like this. These bands are most vulnerable because there are still in development stages,” James said. “…but this is mostly based on how the management of bands deal with the current situation. It is popular belief that we; the players perform for the money but it’s for the love the instrument. $500 cannot in anyway compensate panmen for the work that goes into preparing for this event,” she added. Reply to "Toby: Non-payment of stipends could impact Panorama"